Fresh asparagus is delicious as long as the spears don't get tough. To make sure I am serving the freshest part of the spears, I pop off the bottom of the stem with my hands. By applying gentle pressure, the less fresh part will easily break off. Wash in cold water; pat dry with a clean dish towel. Then prepare in your favorite recipe. 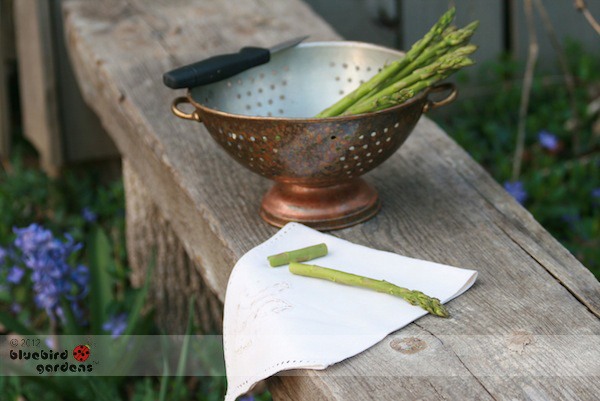 With the hard ends broken off, the asparagus will taste fresh-picked.